The Ground Troops of Russia’s Southern MD are resurrecting airmobile groups. Recent Mil.ru press-releases have highlighted them. Though clearly still developing, they are far enough along to advertise them. Shortly after the December 1 start of Russia’s new training year, Southern MD Commander General-Colonel Aleksandr Dvornikov declared that every battalion, regiment, brigade, and division in his AOR will establish and train airmobile groups. Forty helos is a stiff requirement even for the Southern MD with a brigade plus two independent regiments of rotary wing air support. Airmobile groups have been established in the Volgograd-based 20th MRB. According to Mil.ru, they have spent a month on the Prudboy range training for tactical air assaults, employing helicopter fire support, landing on different terrain day and night, and using night vision goggles. 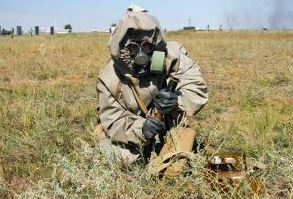 The 150th MRD in Rostov oblast has airmobile groups. Mil.ru reported on Mi-8AMTSh Terminator helos flying in support of them. The site indicated that the groups are outfitted with the RPG-7B, AGS-17 Plamya grenade launchers, 2S12 Sani mortars, Igla (SA-18) MANPADS, and Belozer satellite comms. Mil.ru showed the 136th MRB’s airmobile groups with buggy-like light vehicles. Airmobile groups sound like platoons, so several groups will probably constitute a company-sized unit for divisions or brigades. In Soviet times, combined arms armies also had airmobile battalions. Russian divisions and brigades won’t own helos to support airmobile groups. The MD commander, leading the joint strategic command (OSK) in his AOR, will task his air force component to support them. Some Soviet divisions and armies had organic squadrons and regiments with Mi-8 and Mi-24 helicopters. New Russian airmobile groups may not become named TO&E elements, but remain motorized rifle platoons or companies with training sufficient to be designated “airmobile capable” — if only parenthetically. There’s significant history to this story. The Russian Army lost ownership of its aviation in 2002 when the General Staff gave it to the air force. But, in 2010, all theater air assets came under control of the OSK commander — a Ground Troops general. Then, in 2013, the army surrendered its three air-assault brigades to the Airborne Troops. So the formation of airmobile groups may be, at least partially, about Russian ground pounders reclaiming some air support and airmobile missions from the other services. Vertical envelopment wasn’t forgotten in Russia, it just became the exclusive province of the VDV, and to a lesser extent Spetsnaz and Naval Infantry, for a while. General-Colonel Dvornikov appears to be leading the charge to reinvigorate air mobility as a facet of the Russian Army’s tactical doctrine. The RKhBZ Troops are capable of completing missions for the Armed Forces and the state as a whole, according to him. At the same time, the TO&E structure of the four independent RKhBZ brigades of the military districts was “optimized.” That means, of course, reduced, cut, slashed, etc. Mil.ru also noted that RKhBZ formations, units, and organizations will undergo a transition to new org-shtat structures as they receive new types of weapons and equipment. Western MD — one each in Nizhegorod and Leningrad Oblasts. The one in Leningrad is on the site of what has been an RKhBZ storage base. Southern MD — one each in Sevastopol, Ingushetia, and Volgograd. Sevastopol reportedly is the 4th Independent RKhBZ Regiment. Central MD — one each in Samara and Altay Kray. Eastern MD — one each in Buryatia, Chita, and Amur Oblast. The one in Chita has been a storage base. The shift from brigades is creating regiments that aren’t really “new.” It’s a reshuffling of existing RKhBZ units to integrate them into Russia’s combined arms armies. They will be army- rather than MD-level assets. The “new regiments” are rather sparse. Most press indicates they will have about 300-600 personnel and 100-200 pieces of equipment each. In Soviet times, a combined arms army had several RKhBZ battalions including recon, protection, decon, flamethrower, and smoke. 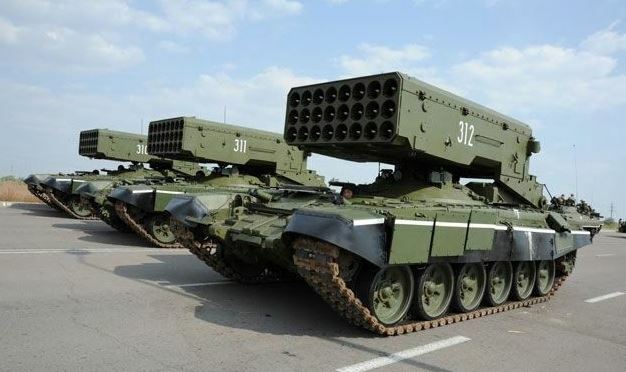 Perhaps RKhBZ is returning to army-level control because of the growing role of thermobaric rocket launchers like the TOS-1A in Russia’s fire support plans. Not long ago someone asked what Russia’s “new profile” brigades look like. There’s a good bit available on this. 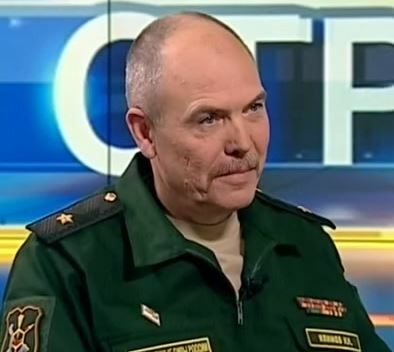 General Staff Chief Makarov signed off on the TO&E (org-shtat) as far back as three years ago, just a couple months after Defense Minister Serdyukov’s reforms were launched. The org chart for a typical motorized rifle brigade shown above is inelegant. Some elements aren’t represented due to your author’s lack of graphic skills. Among important missing items are the artillery command recce battery and air defense radar platoon. The sniper platoon has been part of the new TO&E, but its existence was only emphasized by the media of late. And this post doesn’t delve into precisely how postulated Russian light, medium, and heavy brigades might differ. The manpower looks to be under 4,400 officers and men, 327 officers and 4,066 soldiers (including 1,005 sergeants) to be exact. Russia’s officer corps bloat doesn’t seem to apply to serving out here “in the troops,” as they say. Officers are only 8 percent of the brigade’s personnel. However, this representative brigade is (or was) commanded by a general-major (O-7), and had 5 full colonels, and 29 O-5s. There are almost as many majors (43) as captains (68), and a fairly low number of senior lieutenants (181). In terms of equipment, battalions remain battalions — 40 tanks or armored vehicles per. The SP howitzers are 152mm 2S19 Msta-S or 2S3M Akatsiya and/or 122mm 2S1 Gvozdika. MRLs are the venerable BM-21 Grad, in a battalion of three batteries with six launchers per. Antitank artillery is towed and ATGMs are Konkurs (AT-5 / Spandrel) and Shturm-S (AT-6A / Spiral). Air defense isn’t particularly modern consisting of batteries of 2S6 Tunguska (SA-19 / Grison), Strela-10 (SA-13 / Gopher), and Osa (SA-8B / Gecko). Other English-language observers have looked at the same data. This one shows the organization and manpower distribution for a brigade’s sub-units (battalion-level and lower). This one does much the same with some guessing at tactical organization and equipment. P.S. One forgotten thing here is how logistics and maintenance may, or may not, have changed at the brigade level with Serdyukov’s outsourcing, Oboronservis, and taking soldiers off noncore (i.e. non-combat) duties. But the supply and repair battalions still appear on the org charts. The 29 December issue of Krasnaya zvezda provides interesting personnel data points . . . The piece flat out says the state can’t draft enough men to cover the military’s requirements, and there’s little to fix the problem (going below 1 million men apparently isn’t an option). It also says starkly that contract service was a failure, but it will be gradually resurrected anyway (certainly the right way this time). More pains are taken to say that mobilization isn’t really dead. Armies and brigades are freed from worrying about it, but an experiment in raising a reserve brigade will be attempted this year. As of 1 December 2010, there are 1 million servicemen, including 181,000 officers (18.1 percent). By 2013, the RF President’s target of 15 percent will be reached. In 2008, there were nearly 500,000 officers and warrant officers, almost 50 percent of all servicemen in the Armed Forces. There was an imbalance in the officer ranks. Sixty percent of officer posts were held by senior officers. Over the 2008-2010 period, 170,000 officer posts were eliminated. Meanwhile, the optimal correlation of senior and junior officers was achieved by increasing the latter’s numbers. But the article notes junior officers ranks were cut too — by stopping the acceptance of cadets into VVUZy and making some officers into sergeants. Changes in service regulations allowed the Defense Ministry to appoint officers to lower-ranking [i.e. enlisted] duties. The ex-officers represent a “reserve” for filling officer billets as they become available. This year, Krasnaya zvezda concedes, the state’s military organization was not able to draft enough young men. And the number of men reaching draft age is decreasing every year because of the continuing demographic decline. Regarding contractees, in recent years, the state failed to raise the prestige of contract service, and decided to limit contractees to specific duties with complex equipment or those directly impacting the combat capability of military units. But, in the future, it’s planned to increase the share of contractees as more attractive service conditions, first and foremost higher pay, are created. This will allow for putting contractees in all sergeant and training posts, as well as those involving complex armaments and specialized equipment. KZ says assertions that, in three years, the army will have to draft nearly 80 percent of 18-year-olds are groundless. It says this fails to account for the fact that the army can take conscripts up to age 27. But, it concedes, manning problems really exist because of the demographic hole. In 2010, more than half — about 1.9 million — of the men liable to conscription had student deferments. So, it concludes, the share of men possible to draft amounted to only 17.4 percent of those in the potential conscript pool. In 2010, every third man was not fit for service on health grounds, and 66,000 were held back for more medical observation. More than half had some health limits on their service, and could not be sent for physically demanding service in the VDV, Navy, Internal Troops, etc. And the Defense Ministry doesn’t have an answer. The article says it will sequentially increase the number of contractees, make those responsible for the draft be, well, actually responsible for it, and, of course, make military service more attractive. Less onerous might be a more realistic goal. And this actually seems like Serdyukov’s intent. This article says there are plans to conduct an experiment in manning a single wartime formation [i.e. brigade] with reservists this year. KZ makes a point of saying that mobilization work and training have been preserved, but permanent readiness armies and brigades are exempt from it. On with Krasnaya zvezda’s peep into the Defense Ministry’s organizational and force development document . . . The three-component structure of the SYaS (land, sea, and air) will be preserved. And the plan repeats earlier assurances that the SYaS will be 70 percent modern by 2015, and 100 percent by 2020, as a result of the GPV. Does the composition of the armed forces meet today’s threats? The document says, despite everything, the threat of aggression against Russia has receded, and there’s no need to maintain a multimillion-man army. But it sounds like they’re still trying to convince people. Then there’s this. Russia can still mobilize. The document offers reassurance that, in wartime, storage bases can outfit a significant number of new formations and units. The districts have preserved a mobilization base, and mobilization deployment plans. This comes after the Defense Ministry has spent a good bit of time and effort denigrating the old system of hollow cadre-level units. 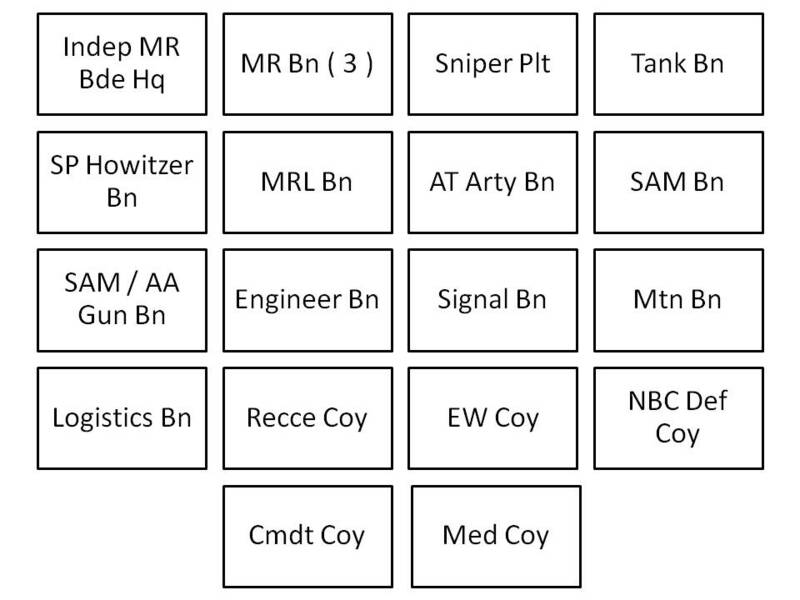 Who is manning storage bases and cadre units after recent downsizing, cuts, and consolidations? The document re-runs the rationale for four MDs / OSKs. It calls the MD an inter-service strategic territorial large formation [объединение]. The old MD system didn’t correspond to existing military threats. To repulse aggression, a large formation of the troops and forces of several districts and fleets is needed. On strategic axes, there were no organs to unite ground, air, and naval forces. In a crisis, temporary, uncoordinated inter-service command and control organs were established. The army lacked commanders capable of planning and conducting operations in TVDs. Old MDs didn’t correspond to air defense boundaries. New MD / OSK commanders are personally responsible for security in their regions, and uniting forces under them has shortened their response times and increased their striking power. What about command and control? There’s an emerging two-pipe system — the military plans for the use and development of the armed forces on the one hand, and civilians plan for their support on the other. The new three-level command system works like this — main commands of services, armies, and brigades answer for tactical issues, and the General Staff, OSKs, and armies answer for operational issues. The army-level command looks like an important hinge in this scheme. In days past, their staffs were never very large. The General Staff has lost duplicative functions and become a full-fledged strategic planning organ. Now any MD / OSK commander worth his salt will want to train and exercise the forces he’ll fight with. He may impinge on the diminished role of the main commands to the extent that he does it.